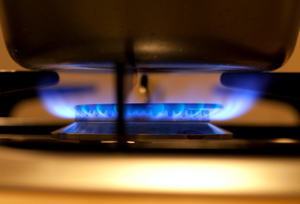 Energy suppliers have been told that they'll be obliged to set their own immediate set of smart meter targets before 2020 and meet them by Ofgem. The industry regulator has also warned that those suppliers who don't meet their targets will face financial penalties. Ofgem's partner of retail markets, Maxine Frerk, has stated that it will be responsible for overseeing the roll out of smart meters, target setting, as well as making sure they comply with the Smart Meter Installation Code of Practice (SMICoP). The government is aiming to install smart meters in around 53 million households across the UK by the end of 2020. By having a smart meter installed in their homes, consumers will be able to see exactly how much gas and electricity they're using, as well as its value in pounds and pence. Speaking about the targets and responsibilities of energy suppliers, Ms Frerk, told Energy Live News: "In terms of the targets for roll out, suppliers have an obligation to take all reasonable steps to install smart meters in all homes by the end of 2020. "If they don't hit that target, we have our usual enforcement powers and the ability to impose penalties but what we're getting them to do rather than waiting till 2020 and see if they hit it or not is they have an obligation to put to us an intermediate target which they will set for themselves," she added.